From county forest to national park, public lands in the United States are some of the most beloved among outdoorspeople for their recreational opportunities and their rich scenic and ecological attractions. What is public land? In the USA, this general category refers to lands in public ownership: from the vast acreage held in public trust by the federal government (most of which is long-held “public domain”) to lands managed by states, counties, and municipalities. 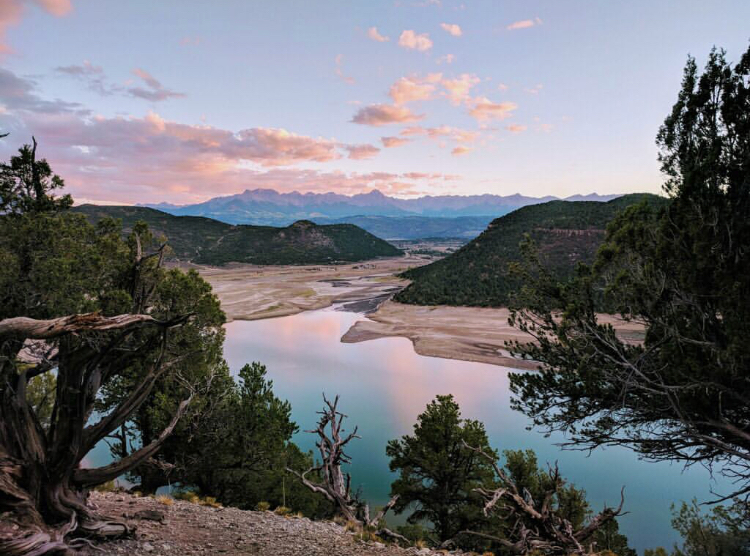 From land trusts and non-profit organizations to timber companies and private citizens, many other landowners allow some form of outdoor recreation on their property, but there’s no question that America’s public lands offer the most extensive opportunities. They also, of course, provide some of the most iconic settings for digging into a delicious Mountain House meal, and in that spirit we thought we’d present a very basic overview of some of the major classes of public land to fuel your appetite for adventure (and for unbeatable freeze-dried goodness). The federal government oversees some 640 million acres: a bit shy of 30 percent of the country’s area, land held in public trust and owned by the American people. Four agencies manage 95 percent of this acreage: the Bureau of Land Management (BLM), U.S. Forest Service, National Park Service, and U.S. Fish & Wildlife Service (USFWS). The remainder includes lands managed by the Department of Defense and a few other classifications. Let’s take a closer look at the sorts of holdings under the oversight of these four primary land-management agencies of the federal government. The BLM—established in 1946 by the fusion of the Grazing Service and the General Land Office and part of the Department of the Interior—manages the most public land of any federal agency: about 248 million acres. Almost all of this purview lies in the West and in Alaska. Much of the BLM’s acreage takes the form of rangeland managed for multiple uses, outdoor recreation among them. 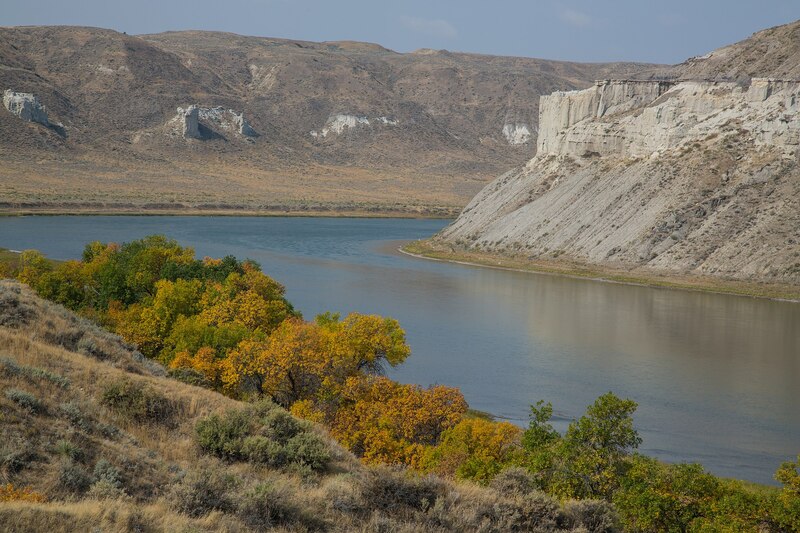 Examples of BLM areas include the Upper Missouri River Breaks National Monument in north-central Montana, the rough badlands of which constitute one of the wildest sections of the Great Plains and encompass the famous White Cliffs of the Missouri celebrated in the journals of Lewis and Clark; the Red Rock Canyon National Conservation Area in Nevada, a stone’s throw from Las Vegas; and the Morley Nelson Snake River Birds of Prey National Conservation Area in south-central Idaho, host to one of the greatest known densities of nesting raptors (from kestrels and falcons to ferruginous hawks and golden eagles) in the world. The U.S. Forest Service is the oldest of the federal land-management agencies—it was established in 1905 to oversee what were then called forest reserves, soon renamed national forests—and unlike the other “big three” falls within the Department of Agriculture, not the Department of the Interior. The Forest Service’s responsibility includes about 193 million acres in the USA managed for multiple use; more than half the federal acreage in the East falls within the National Forest System. 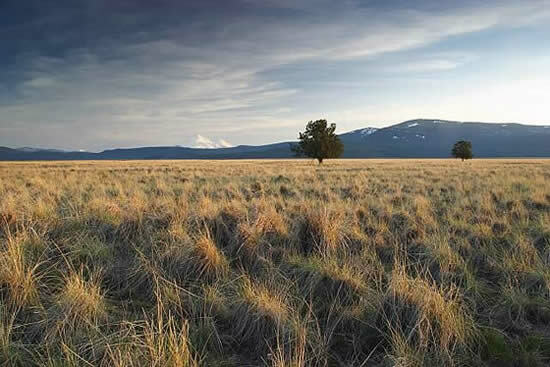 Along with national forests, the Forest Service also manages the country’s 20 national grasslands, most of which lie on the Great Plains but which also include a trio of Intermountain units: Oregon’s Crooked River National Grassland, Idaho’s Curlew National Grassland, and California’s Butte Valley National Grassland. The largest national forest is Alaska’s Tongass at 16.7 million acres; the largest in the Lower 48 is the 6.3-million-acre Humboldt-Toiyabe in Nevada and California. The smallest national forest is the Tuskegee in Alabama at 11,252 acres. The biggest national grassland is North Dakota’s 1.03-million-acre Little Missouri, which adjoins Theodore Roosevelt National Park; the smallest is the roughly 1,500-acre McClellan Creek National Grassland in Texas. Though Theodore Roosevelt declared the country’s first National Wildlife Refuge (Pelican Island) back in 1903, the U.S. Fish & Wildlife Service wasn’t formally designated until 1940 through the merging of the Department of the Interior’s Bureau of Fisheries and the Bureau of Biological Survey. The agency’s primarily responsibility is to protect wildlife, vegetation, and habitat, although secondary uses such as wildlife-watching, hunting, and outdoor recreation are also managed for. The USFWS looks after just shy of 90 million acres, about 86 percent of which lie in Alaska. Unsurprisingly, the 49th state includes the largest national wildlife refuge: the Arctic on the North Slope, comprising 19.64 million acres. The biggest in the Lower 48 is Nevada’s Desert National Wildlife Refuge at 1.6 million acres. The smallest USFWS unit is the 72-acre Two Ponds National Wildlife Refuge in Colorado. The National Park Service was born in 1916, decades after the establishment of the first national parks in the USA (and the world); initially, the U.S. Army regulated early parks such as Yellowstone and Yosemite. Today the Park Service oversees more than 400 separate units covering nearly 80 million acres, two-thirds of which lie in Alaska. These include not only national parks but also many national preserves, national monuments (others of which are Forest Service- or BLM-managed), national recreation areas (ditto), national historic sites, and more. Want to guess where the biggest national parks reside? If you went out on a limb and said “Alaska,” well, you’re right on the money. The scale of Last Frontier parklands can boggle the mind when you’re used to the Lower 48: Wrangell-St. Elias National Park & Preserve covers a whopping 13.2 million acres, compared with 3.4 million acres for the conterminous USA’s biggest national park, Death Valley. The smallest national park proper is Gateway Arch in St. Louis, Missouri (about 193 acres), though many NPS units are smaller (the 0.02-acre Thaddeus Kosciuszko National Memorial in Philadelphia is smallest of all). The biggest wilderness is the 9.1-million-acre Wrangell-St. Elias Wilderness in Alaska, managed by the National Park Service, although the largest contiguous roadless swath is the 12.74-million-acre expanse of the adjoining Noatak and Gates of the Arctic wildernesses in Alaska’s Brooks Range. The biggest wilderness area in the Lower 48 is the Frank Church–River of No Return Wilderness in Idaho at 2.36 million acres, part of an even larger roadless tract with adjacent wildernesses and national forest land. The smallest wilderness? That’d be Florida’s 5.5-acre Pelican Island Wilderness, part of that very first national wildlife refuge we mentioned earlier. Some national parks and monuments have designated wilderness in their roadless reaches (Wrangell-St. Elias being an example), while others—such as Yellowstone—manage backcountry as de facto wilderness. Of course, the federally managed acreage we’ve been talking about doesn’t encompass all of the nation’s public lands. There are also state parks, forests, and wildlife areas, plus parks, forests, greenways, and other units managed at county and municipal levels. The variety of classifications at these levels transcends the scope of this here overview, but suffice it to say these non-federal public lands include some of the most accessible and heavily used in the USA. Let’s throw in some state-park trivia, just for good measure: The 1.6-million-acre Wood-Tikchik State Park in Alaska is the largest, while California’s 600,000-acre Anza-Borrego Desert State Park—often making headlines for its “superblooms”—is the heftiest in the Lower 48. And we certainly have to mention the one-of-a-kind Adirondack Park in upstate New York, the biggest reach of protected public land in the Lower 48 states. Some 2.6 million acres of the Park compose the state-owned Adirondack Forest Preserve; the remaining 3.4 million acres are private lands contributing to the landscape’s habitat diversity and integrity. From hunting, angling, and camping to mountain biking, stand-up paddleboarding, berry-picking, rock climbing, horseback riding, and birdwatching, people pursue a whole range of activities on America’s public lands. Outdoor recreation may be the primary focus of a specific unit—a city park, for instance—or one of many managed-for public land uses, as in a national forest or BLM area. Certain national wildlife refuges heavily restrict or even prohibit visitor use to minimize impacts on the animals, plants, and ecosystems they’re pledged to safeguard; it’s a similar story for certain archaeological and historic sites. It goes without saying that it’s important to understand and abide by the specific regulations of a particular area of public land when it comes to outdoor recreation. Some units don’t allow camping; in others, you can camp nearly anywhere. One park may require hikers to stick to designated trails; another may lack trails altogether, appreciated only by cross-country travelers. The links we’ve sprinkled throughout this post to individual agencies, specific public lands, and Wilderness Connect should get you going on your explorations of America’s publicly owned spaces, but for even more info check out the Department of the Interior overview, “America’s Public Lands Explained” (focused on federal acreage), and the U.S. Geological Survey’s Protected Areas Database of the United States. And then get out there and explore with plenty of Mountain House to keep you fueled up! This entry was posted in Nature and tagged public lands by Kelli Martinelli. Bookmark the permalink.